Civil disputes and litigation are the backbone of our practice. We understand that clients are seeking smart, effective strategy, efficient implementation and, most importantly, results. DAVISON LAW represents clients in claims for breach of contract, misrepresentation, breach of fiduciary duty and claims for unfair trade practices in violation of M. G. L. c. 93A. We are frequently counsel in complex shareholder/partnership disputes in family-owned or closely-held businesses in matters relating to the operation and control of the business. We are also experienced in advising on, and litigating, matters of corporate governance, including in start-up businesses and ventures. In a case of first impression in the area of corporate governance, the Superior Court found in our client’s favor that the president of a closely-held corporation could not remove an employee/manager absent approval of the Board of Directors where the Board had put the employee in office. We obtained the Rule 12(b) dismissal of a Federal Court action asserting claims of RICO, RICO conspiracy, violations of c. 93A, civil conspiracy and malicious prosecution against our clients. 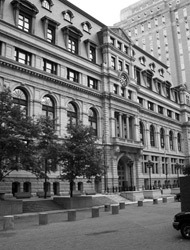 We obtained temporary restraining orders freezing assets and attachments on real property in the Superior Court where the trustee of a trust controlling a family-owned business converted virtually all of the trust assets to himself. On the subsequent Motion to Enforce Settlement, the Court adopted DAVISON LAW’s arguments with respect to the correct interpretation of the parties’ Settlement Agreement. Following litigation against a professional trustee in the Superior Court, including claims of breach of contract, breach of fiduciary duty, and violations of M. G. L. c. 93A, our client received a distribution of $12 million and various interests in family-owned businesses. In the week before trial and following service of our motion for sanctions for spoliation of evidence, we obtained a settlement for our client, a 10% shareholder in a medical practice, in which he received full compensation for the value of his shares, previously denied to him. We achieved the successful buyout of our client’s ownership interest in a Massachusetts golf course and club. On appeal, we obtained an order reversing a finding of knowing and willful unfair and deceptive trade practices by an automobile dealer. In a closely-held family business dispute, we obtained a multi-million dollar settlement for our client on minority shareholder freeze-out claims, resulting in his being bought out of the business.